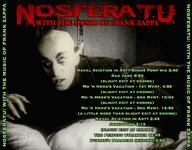 Splendid artwork courtesy of TBNer Yahozna - he's from Kansas! 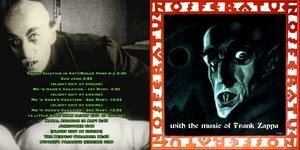 Poodle's unique juxtaposition of FZ's "serious" music upon the classic, silent Horror Film 'Nosferatu' by F.W. Murnau (arguably the first horror film ever created) of 1922. Call in Cheezy, call it Xenochrony Lite, call it what you wish, the way that Frank's music 'fits' the action of this film is nothing short of amazing.